Bring smiles on the faces of your dear ones with this gift of Remarkable Divinity Gift Hamper Basket and make your bond stronger. 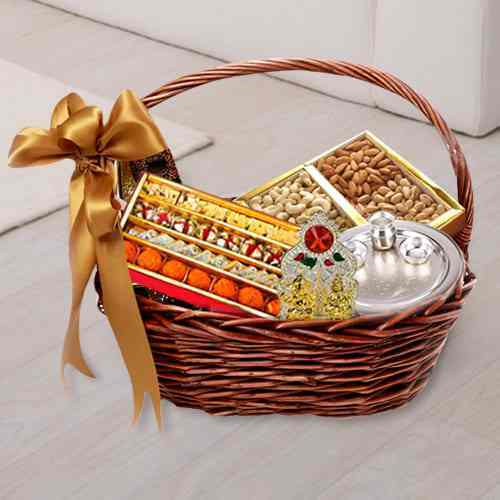 This Gift Hamper containing 500 gms Haldirams Assorted Sweet, 500 gms Assorted Dry Fruits and Silver Lakshmi Ganesha Mandap, Special Silver Plated Thali is brilliant for making worship more auspicious. � 2007-2019, www.ahmedabadonlineflorists.com, All Rights Reserved.